Srinagar: A Kashmiri man seeking medical help for his newborn, a Bihar girl facing eve-teasing on board a train and a Rajasthan businessman looking for the person who owes him money — all find a ‘madadgar’ (a good Samaritan) in the CRPF, the country’s largest paramilitary force. 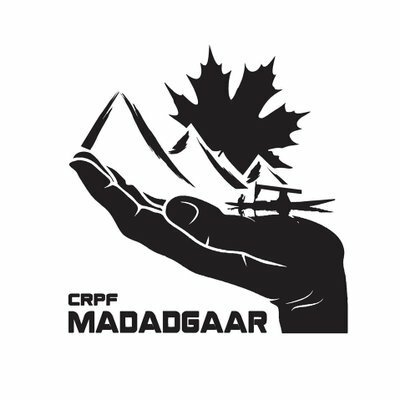 The faceless 21-member ‘Madadgar’ team of the CRPF has been providing help not only to people in the militancy-affected Jammu and Kashmir but other parts of India as well. The 24×7 helpline was the brainchild of CRPF’s Inspector General (Operations) Zulfiquar Hasan as long spells of curfew had become routine in Kashmir in 2016 due to the widespread violence in the aftermath of the killing of Burhan Wani, the poster boy of Hizbul Mujahideen terror group. The initiative, which started in January 2017, has many success stories and attracted huge appreciations from the Central Reserve Police Force (CRPF) as well as the Union Home Ministry. A few days ago, the phone at the Kashmir-based ‘Madadgar’ unit started ringing in the dead of night and the call was from Boniyar in Baramulla town of North Kashmir. The caller, the father of a three-day-old baby, was crying and asking for help as the newborn required immediate transfusion of O-negative blood. Immediately, the nearest CRPF unit was alerted and jawans with O-negative blood rushed to the district hospital, after taking adequate security precautions, and donated blood for the newborn. The baby was discharged from the hospital a few days later. Not far from Boniyar lives Mushtaq Tantray. A resident of Gundbrath in Sopore district, Tantray had been suffering from chronic kidney disease for three-four years. However, in 2016 his financial condition deteriorated and he had to sell everything and shift to a tin- shed dwelling along with his wife, Mubinaa, and three school-going children. “They (Madadgar) are God-sent angels. They have saved me,” says Tantray, whose hameo-dialysis is being taken care by the CRPF for the past two years. Besides this, he also gets a regular supply of medicines from the paramilitary force, which has been fighting militancy in Kashmir Valley for the past three decades. “This is an effort by the CRPF to build bridge with people of this country. The results have been encouraging and I am sure that we will be able to serve people better,” Hasan, who is a West Bengal-cadre IPS officer, told agency. Last December, ‘Madadgar’ received a call from a girl who was travelling in a train from Bihar. She was complaining of eve-teasing by three boys on board and needed help. “The alert sub-inspector at the call centre, which is based in Kashmir, took the PNR number of the girl and checked the live location of the train. “Immediately, the Railway Protection Force at the next station was alerted and the three boys were arrested,” recalls Assistant Commandant Gul Junaid Khan, who heads the ‘Madadgar’ call centre. “We receive on an average around 700 calls a day and the problems can be anything. Even some call us to know directions of roads to reach their destination,” he said. Recently, there was a call from Rajasthan and the person claimed that a Kashmiri businessman owed him money. “We verified the claims and found it to be true. After mediation, we ensured that the person was paid all his dues by the businessman,” Khan said. Post February 14, which was the darkest day for the CRPF in Kashmir Valley when it lost its 40 men in a suicide terror strike by Jaish-e-Mohammed, the lines of Madadgar continued to ring with distress calls. “We had not even mourned properly and our boys were out to help others. Efforts were made to respond to calls received from Kashmiris living across the country who pleaded for help…Police officials and NGOs in those areas were contacted and the safety of the people was ensured,” says Hasan.